Dozens of unique medieval buildings in Georgia’s UNESCO-recognised Chazhashi village have been restored by professionals in an ongoing project set to be completed in two years’ time. 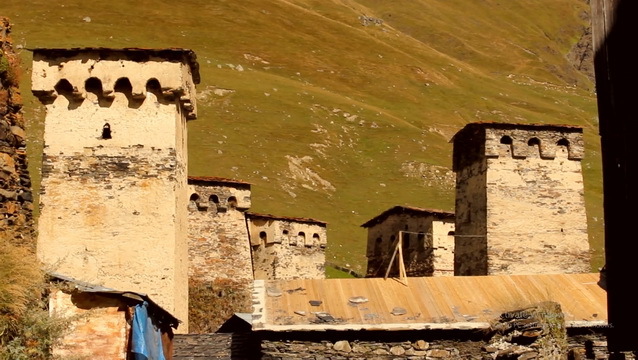 The location, part of the Upper Svaneti province inscribed in the World Heritage List in 1996, has been under restoration and preservation works since 2014. In an effort to illustrate the work in progress, the National Agency for Cultural Heritage Preservation of Georgia released a short video showing the rehabilitation work and sights of the village. Showing the medieval defensive buildings dotting the site, the footage also offers a close-up look at the architectural and material details of the constructions giving Chazhashi its unique look. The agency also said over 30 medieval towers and machubi (first storey of traditional Svan houses for winter residence) had been restored out of 50 buildings selected within the state project ongoing for four years. Efforts already completed also include conservation of the original stone material for a local church and setting up of its roof.